Is your carpet is a hotbed of bacteria? Learn how to keep them clean. Carpets are a common accessory in modern homes. They are soft, beautiful, comfortable and stylish on the floor. We will introduce the daily cleaning and maintenance of the carpet in detail. The vacuum cleaner is a good helper against carpet dust. Ordinary household vacuum cleaners are generally equipped with multiple brush heads can be used to clean carpets, but does not do a good job if carpet requires deep cleaning. 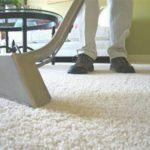 If you have many carpets or large carpets in your home, it is recommended to use a vertical carpet-type special carpet dust collector, or a three-in-one (spray, roller brush, dry) carpet cleaning machine. Vacuuming 1 or 2 times a week can effectively prevent dust mites from accumulating. Over time carpets will inevitably be contaminated with a variety of stains. Different stains have different methods of decontamination, let’s talk about the three commonly used. 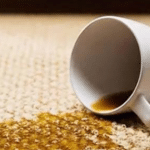 Drink dripping: As long as the tissue is used to absorb moisture in a timely manner, and then gently rubbed with a dry cloth and some vinegar, the stain can usually be removed. Edible oil stains: This kind of oil stain removal is relatively troublesome. In addition to using a tissue to blot dry, it is necessary to use a cotton swab soaked with volatile solvents such as alcohol to completely remove it. For wine stains, short-haired carpets can be washed with water; but if it is a carpet of wool or silk, it is best to wash it with oxalic acid. If newly bought carpets have a pungent smell, use vinegar to eliminate the carpet odor. Add 4 cups of vinegar to the towel with 4 cups warm water, wring the towel and gently wipe the carpet. Finally, leave the carpet in a ventilated place to dry it to eliminate the odor. This method can also be used to eliminate pet odor and foot odor. Disinfectant sterilization: This method uses a wet type vacuum machine combined with a disinfectant to kill the bacteria on the carpet. After vacuuming, spray the disinfectant water evenly on the carpet. Wait for 15 minutes, brush the carpet and vacuum dry. Finally, blot dry the carpet. Steam sterilization: This method uses a special steam sauna carpet cleaning machine, which can heats the water into a high temperature of 200° C. The high temperature disinfects the carpet and kills bacteria. Carpet sterilization work is important for the health of the family. If you keep pets at home, the carpet should be disinfected frequently. Please contact our experienced cleaner experts if you need any professional carpet cleaning services in Kuala Lumpur and Selangor.